Katie is an Associate in the Dental Negligence Team. She has over seven years of experience specialising in dental claims and has dealt with a wide variety of cases during this time. 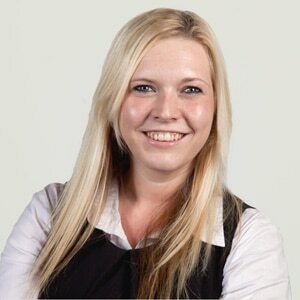 Katie deals with high value and complex cases, mostly those in which a Claimant has lost several teeth. She has developed particular expertise in periodontal, cosmetic and nerve injury claims. "I found Katie’s approach professional but without the confusing legal jargon. From my initial dealing with Katie she has kept me updated and I know I am in safe hands." Katie has dealt with dental negligence claims for several years, having worked at another firm of solicitors before joining the Dental Negligence Team.